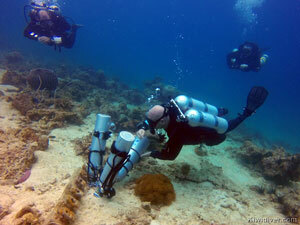 At Kiwidiver we provide high-quality Technical Diving courses and training with no catches. There are no hidden fees, equipment rental costs, certification costs, additional boat charges or gas costs. 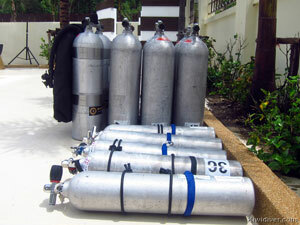 Our experienced instructors are dedicated to producing high-quality technical divers from beginner level to Instructor. 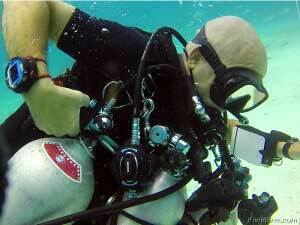 Thailand is the perfect place to start your technical diver training or Technical Instructor Training. Kiwidiver is an official PADI TecRec Center and we teach both Open Circuit Technical Diving (OC) and Closed Circuit Technical Diving (CCR) with a range of courses from beginner levels to Instructor levels. We are a key partner in Thailand’s Tec Camp every year on Koh Lipe Island in October and regularly assist PADI with Tec Explorer days around the country. Although technical diving has been around since the1960s in various forms spawning originally from cave diving the PADI / DSAT Tec Rec programs were launched in 2000 with the latest state of the art training material. 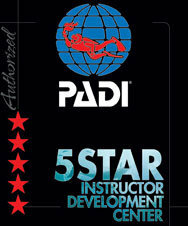 With PADI’s well-recognized training methodology taking you step by step through a logical integrated course flow from beginner levels to Instructor programs. The training covers everything in modular levels allowing you to train at your speed and gain experience at each level before progressing. 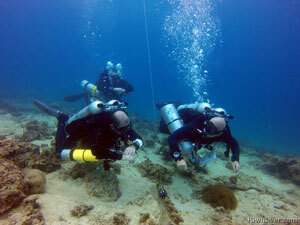 At Kiwidiver we also run expeditions looking for new technical dive sites along with our annual PADI Tec Camp. 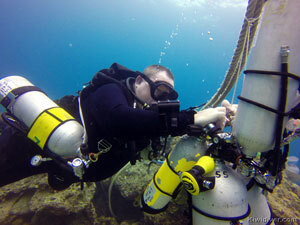 Kiwidiver also assists PADI with Tec explorer days and or rebreather days throughout the region. If you are thinking about getting into Technical diving Asia Diver magazine did an article about taking the technical step. Some of our Instructors and trainers are qualified to teach under other agencies, however, here at Kiwidiver we have chosen to only conduct genuine PADI courses. Kiwidiver runs regular Tec Deep courses (our most popular program of PADI Tec 40, 45 & 50 combined) which is ideal for Tec Instructor candidates wishing to gain experience assisting on Technical courses. If you want a one day experience with a technical instructor showing you what all the extra equipment is for and just how easy it is to dive in technical configuration then the Discover Tec experience may just be what you need to answer all those questions. You will learn about the differences in technical equipment, how to choose the best equipment and configure it for technical diving. 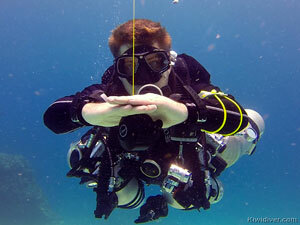 You will also learn some new safety drills to practice while diving in double cylinders. 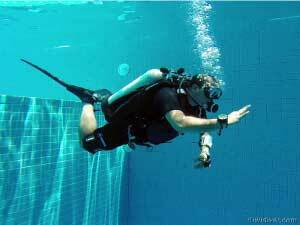 You do not need to be a Tec Diver or Sidemount Diver to get started on the Tec Sidemount Diver course. 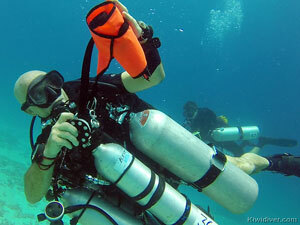 It is a great way to get an introduction into Technical Diving and Sidemount Diving at the same time. 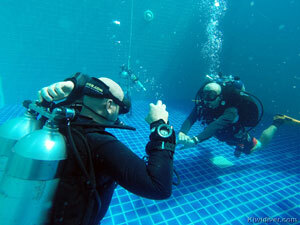 As the entry point into PADI technical courses the Tec 40 provides a transition from recreational to technical diving. 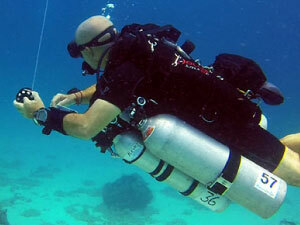 Although the use of full tech gear (doubles and wings or Sidemount) is preferred, it does allow modified use of recreational gear in some situations, provided the diver has two separate regulators, with one of the first stages fitted with a long hose. As the second module in the full PADI Tec Deep Diver course, the Tec 45 course builds on the skills you learnt in Tec 40, and takes your training as a tec diver further and deeper. After successful completion of the DSAT Tec 45 course you will be able to conduct gas-switch extended no-decompression dives, decompression dives and accelerated decompression dives using air and enriched air to a depth of 45 meters. The Tec 50 course covers Technical diving risks and responsibilities, technical equipment rigging, gas planning, team diving, technical pre-dive checks, specific tech diving hand signals, gas shut down drills, gas switching, long hose gas sharing, lift bag deployment, removal and replacement of deco cylinders, equipment and gas failure procedures, handling technical diver emergencies and rescue drills, oxygen management, decompression computer software, executing decompression stops and dives. After successful completion of the Combined Tec 40 / Tec 45 / Tec 50 Diver course, you will be able to conduct gas-switch extended no-decompression dives, decompression dives and accelerated decompression dives using air and enriched air to a depth of 50 metres/165 feet. The PADI Tec Deep is the most popular choice amongst divers wishing to explore greater depths. Those who want to explore greater depths and dive beyond 50 meters can master new technical diving skills on the PADI Tec 65 course, where a Normoxic Trimix gas consisting of Helium, Nitrogen & Oxygen is used. Trimix allows you to manage the risks of elevated oxygen concentrations and nitrogen narcosis. 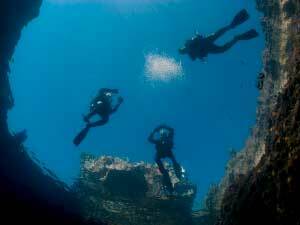 With training dives to a maximum depth of 90 meters you will learn the skills to take your diving to extreme limits. 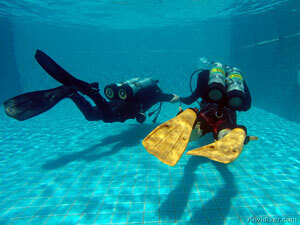 A number of training options are available and each course is customized to meet a particular dive mission. Talk to us now about preparing a course for you. For Technical Divers and dive professionals the Gas Blending course is an easy way to learn about oxygen cleaning and handling different gas mixes to blend gas for technical diving. The course covers the use of partial pressure blending, membrane compressors and calibration and use of nitrox blending sticks. 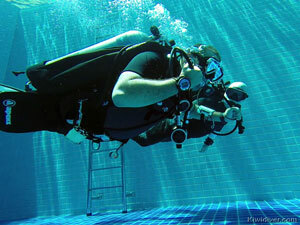 The NEW PADI Full Cave Diver course is now available at Kiwidiver.com. This PADI distinctive specialty course is recognized by international cave diving organisations like the Cave Divers Association of Australia with no additional training required. The nine day course includes everything from Cavern through to Full Cave Diver curriculum in 16 dives at some of the best cave diving sites in Thailand. PADI Instructors who are qualified tec divers and want to share their passion for technical diving can start gaining experience teaching Discover Tec and Tec 40 prior to meeting requirements for PADI Tec Deep Instructor. 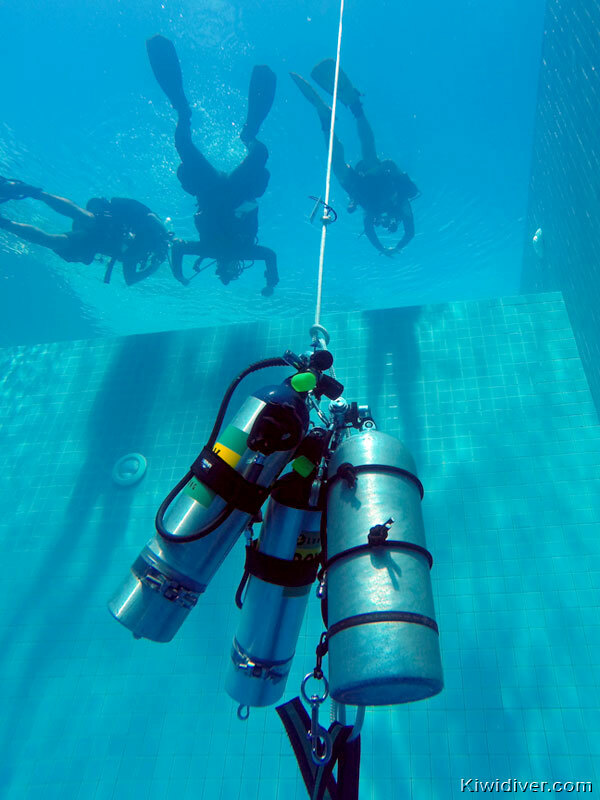 Expand your teaching opportunities as a Tec instructor or sidemount instructor by learning how to combine technical diving and sidemount diving. 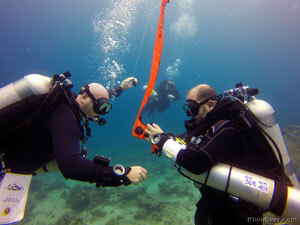 Today nearly 50% of technical diving students prefer to learn to Tec dive on sidemount. 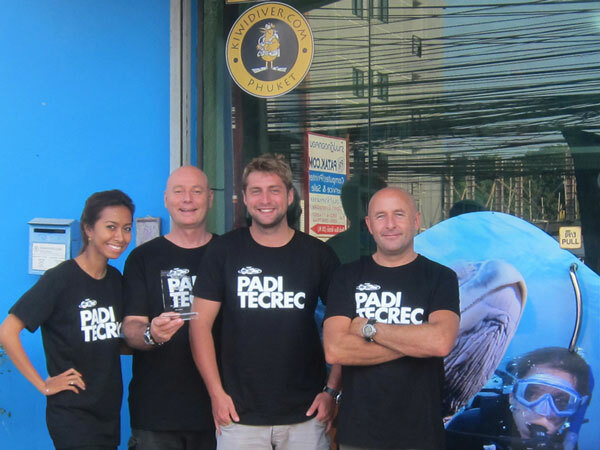 Do you have questions about the PADI TecRec Courses?